Emma Ingalls and Maggie Smith Hathaway, the first women elected to the state legislature in 1916, worked to advance these goals in Montana. Hathaway championed creation of the Montana Mother’s Pension, which provided direct financial support to abandoned or widowed women, allowing some of them to keep their children at home. Ingalls advocated for creation of the Bureau of Child and Animal Protection to provide oversight for children adopted or placed in foster care. 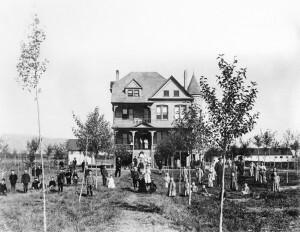 With the creation of the bureau and the Mother’s Pension, the state orphanage began its transformation from a predominantly long-term care institution to a way station for children until foster homes could be found. The trend away from institutionalizing children continued in the 1930s, when the depression brought the expansion of government social welfare programs. Aid to Dependent Children (ADC), established in 1935, provided direct relief to poor single mothers. With the expansion of this and other social welfare programs, as well as a growing emphasis on foster care and a postwar prosperity that left fewer families destitute, increasingly fewer children ended up in the orphanage. 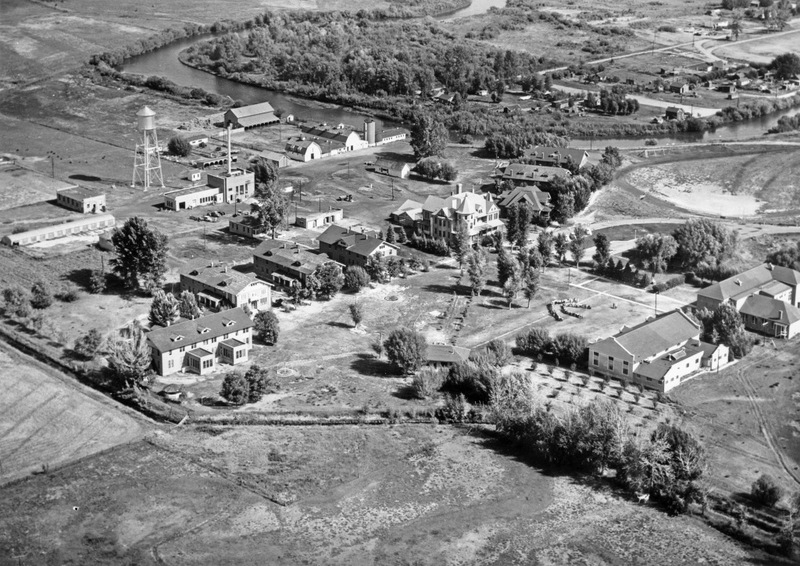 In the 1930s the average population of the Twin Bridges institution was 282. By 1959, when the facility was more appropriately renamed the Children’s Home, the average number of residents had declined to 156. By 1975, when the facility closed, only 50 children were in residence, awaiting placement in foster care. 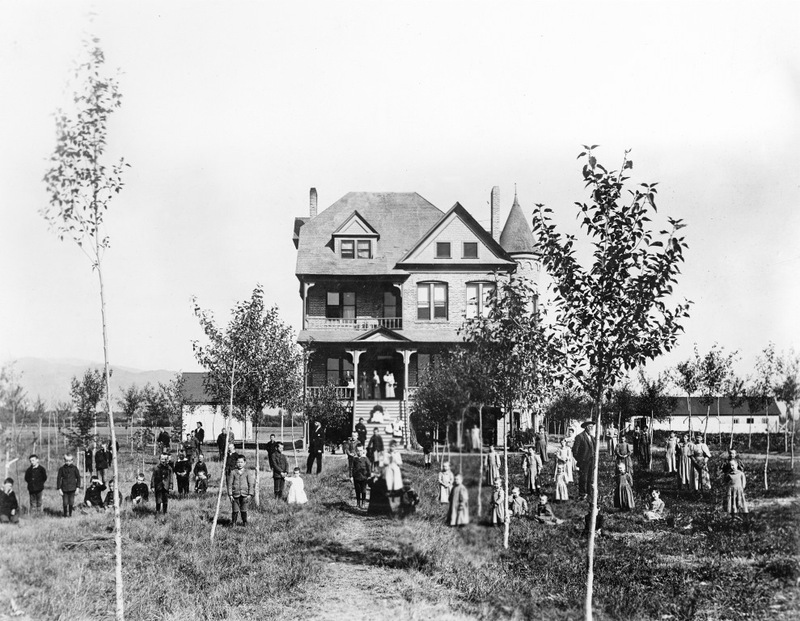 One hundred years after the Montana State Orphanage opened its doors, the issue of how government should respond to poor women and their children reignited during the debate over welfare reform. In fact, Congressman Newt Gingrich, the author of the Republican Party’s “Contract with America,” specifically espoused reopening orphanages as a cost-cutting measure. At a reunion held in 1995, former residents of the orphanage—who had lived there between 1914 and 1969—discussed the debate over reopening orphanages and their varied experiences in the facility. Some felt that with reforms—more affection for individual children, more oversight of staff, and more allowances for siblings to be together—orphanages could provide proper care. Most agreed, however, that the orphanage system, as they experienced it, had failed them. Alice Freedman, and other women like her, did not want their children growing up in the orphanage; it was simply their only option. In the years following her children’s placement, Freedman worked to have the four oldest children released to her. The youngest, a set of twins, left the home in 1945. Baumler, Ellen. “After Suffrage: Women Politicians at the Montana Capitol.” Women’s History Matters blog. http://montanawomenshistory.org/after-suffrage-women-politicians-at-the-montana-capitol/. Accessed November 17, 2014. Engebretson, Donna. Interview by Jodie Foley, July 22, 1995, OH 1632, Montana Historical Society Archives, Helena. Freedman, Harold. Interview by Jodie Foley, July 21, 1995, OH 1634, Montana Historical Society Archives, Helena. Freedman, Noel. Interview by Jodie Foley, July 21, 1995, OH 1633, Montana Historical Society Archives, Helena. Montana Children’s Center Records. RS 95, boxes 5 and 7, Montana Historical Society Archives, Helena. Wentz, Fred. Interview by Jodie Foley, July 22, 1995, OH 1635, Montana Historical Society Archives, Helena. “White House Conferences on Children.” Encyclopedia of Children and Childhood in History. http://www.faqs.org/childhood/Wh-Z-and-other-topics/White-House-Conferences-on-Children.html. Accessed October 27, 2014. My eldest brother was placed in an orphanage at the age of two. Our mother and his father were divorcing after a nasty and abusive marriage. Vern was in there for seven years before somebody adopted him. In fact, it was the head of the orphanage. I believe it was in Great Falls. We finally found him about three years ago. He had no clue he had younger siblings. I had been trying to find him for almost 30 years. Being as our mother was native, we had little to go on. Good for you. My brother did not know he had younger siblings either. I believe one of my mother’s distant relatives, George White, may have sponsored the Montana bill which created the Twin Bridges orphanage. I also have a relative who was adopted from Twin Bridges into the loving home in Missoula, Mt. Creation of the orphanage surely saved lives and, though not perfect, it gave youngsters a chance to lead a productive life. Don, do you have any idea where the records are for this orphanage? The Montana Historical Society also conducted an oral history project with children from the orphanage and has those tapes available. My memories of 4years at the Montana orphanage at Twin Bridges. Both of my parents died when I was seven years old and was taken to the orphanage in. 1932 and was there for 4years. When I was 9 years old I was moved up to my age group to cottage 5 and the matron was Ms.Hyman. She would give each of us a whipping about5times per week. All of us boys would cry except Robert Chenowith who never let peep out. Once this made her so angry that she said “I’ll keep this up until you cry”.After whipping Robert for a long time, he finally said a groaning “Ow”. That was the only time I heard her laugh but it was more of a cackle. Sam Wyrouck, Ms.Hyman sounds like a horrible person, giving each of you a whipping about 5 times per week. Making all you boys cry. Robert Chenowith who never let peep out making her angry enough that she said “I’ll keep this up until you cry”, then whipping Robert for a long time, he finally said a groaning “Ow”. “Then she laughed but it was more of a cackle.” How cruel. I feel so sorry for you and the other boys. God Bless. I hope you were able to have somewhat of a peaceful life after that. You deserved it. The last I heard that old place in Twin Bridges, MT is vacant and has been for quite some time. My Grandmother was an orphan of the Montana State orphanage in/about 1911 as a newborn. She was Fostered by 3 other families and they continued to take her back to the orphanage. In 1915 she was adopted by Fred O. Hess and his wife Essie. The Hess’s wrote letters back and forth throughout the years to the Hawks which were the Superintendents of the Montana Children’s Home Finding Society for many years. My Grandmother told us that she thought she was part Indian, possibly Crow. Her mother may have been white. I wished we knew more about where my Grandmother was from. She was born in Shodair Hosp. Her birth certificate is very sketchy, showing no fathers name and just a mothers name of Verna Smith. If anyone can suggest or help, I would deeply appreciate it. This story is on ghost adventures..so sad for all the children. Does anyone know of statistics on how many children were adopted out of the orphanage at Twin Bridges? My late husband n his brother n sister he was 5 or 6 brother was 3. or4 sister was. 2 they were there four years he always ran away his mom got them back his father drank a lot n was really mean to him his mom drank also my husband was wonderful to his daughters kind n hugged them good dad! Four of my siblings and myself were at the twin bridges orphanage 1961 / 1962. I actually liked it there and was treated well . My house parents name was Mr. and Mrs. Moore and they were extremely nice people . Some of the kids were pretty rough but it wasn’t that bad . I was also an orphan myself,but not in Twin bridges -I was an orphan in a foreign country till I was 7 years old,but I was an orphan tI’ll 1985 til 1993.